As the saying goes, “You are not a human being having an occasional spiritual experience. 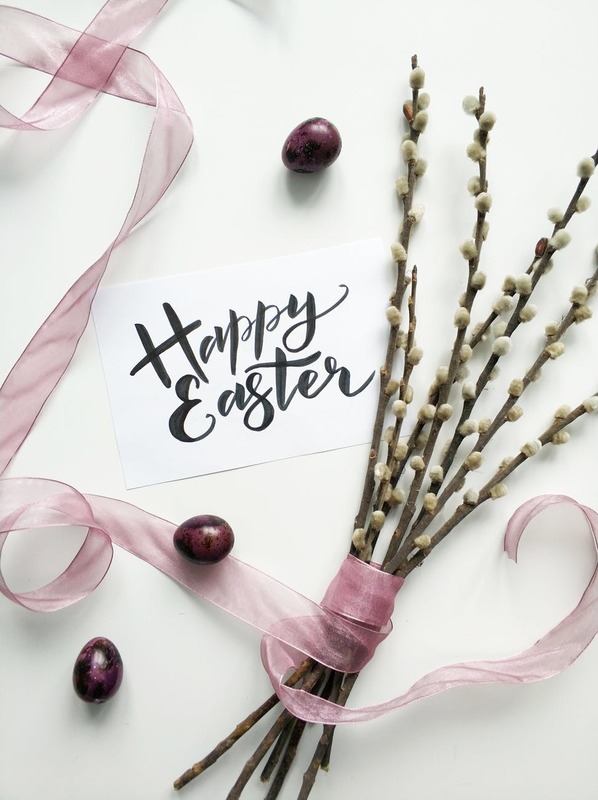 You are a spiritual being having a temporary human experience.” And there is no better time of the year to affirm that for yourself than Easter. For me, the Easter story is a dramatic demonstration and profound illustration of something that I believe is just as true for you now, as it was for Jesus over 2,000 years ago—that you are in this world, but you are not of this world. How so? Your true essence is spirit, not body. And unlike the body, your spirit is eternal and indestructible. Your authentic self is, in a word, divine—an individual expression of that all-pervading energy that many of us call God. And you are here for one purpose, and one purpose only: to express your divine nature in the body, and in the world. And what, exactly, is that nature? Love. Unconditional love. Divine love. It’s the kind of love that knows no limits . . . the kind of love that forgives—no matter what. It’s the kind of love that Jesus fully expressed throughout his life, right up to the final moments of his earthly existence. And it’s the kind of love that you, and I, and all of us are called upon to express on a daily basis. Today, and every day of the year, may you remember who you are, and why you are here. May you remember that the journey of life is not about getting somewhere. The journey of life is about being something. It’s about being the love that you are in every single moment of that journey. And it’s about experiencing the absolute joy that your love brings to the journey, and brings to each and every spirit that you encounter along the way. This article was written by Steven Lane Taylor. Click HERE to Learn more about his work. Trauma affects, or almost “infects” relationships. The partners of individuals with unresolved trauma bear burdens that can be both practical and personal. The lives of partners of trauma-affected individuals are burdened in practical ways because they must often fill in for their loved-one who is in some way “not there” to help with the daily demands of life. The spectrum of “not there” can range in severity from mild impairment to highly dysfunctional. Not only is the individual “not there” to help, they can add to the partner’s burdens with their trauma-related demands and needs for care. Trauma-affected individuals can have symptoms (including depression, anxiety, sleep disturbances, sexual dysfunction, mood swings, chronic fatigue, panic attacks, physical pain and disease, See Chapter 1: “Understanding Trauma”) which require care or accommodation. They can also have self-destructive behaviors (addictions, infidelity, risk-seeking activities) which result in negative consequences to the relationship. Partners of trauma-affected individuals are also burdened personally within the relationship. Trauma-sufferers often want to avoid their pain by staying numb, isolating themselves, and refusing to be vulnerable. By limiting the amount of relating or connecting they do with their partners, they reduce the level of intimacy in their relationships, which removes the likelihood of having to feel pain. Partners become a “threat” to the traumatized individual’s sense of safety because they challenge the individual’s carefully constructed defenses against feeling. Partners of trauma-affected individuals often feel alone and rejected on some level. They may feel they must always tread lightly in their relationships. They may end up feeling helpless and powerless to make a difference in the lives of their suffering loved ones. Trauma-affected individuals often promote these feelings of powerlessness, because they are committed at all costs to maintaining control and protecting themselves from feeling their pain. Instead of cooperating with their partners by working through their traumas in order to have better relationships, they can actively resist and thwart their partner’s compassionate efforts. This conflictual, combative pattern, if it continues, can destroy trust within the relationship. *** "This article was written and originally published when Peter Bernstein, PhD was a licensed psychotherapist. His practice has evolved and he is currently a life coach, mentor and consultant."